I have titled this table Intersection. 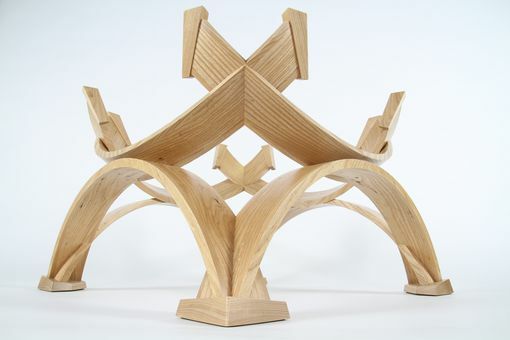 It was born from an idea while playing with two arched pieces of wood from another project. The thought occurred to me to stand the upper arch upside down upon the bottom arch and bevel it toward the center of the table. 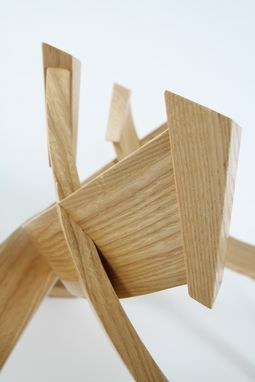 This finished product has proved to be very exciting to the eye as the various components intersect with one another. 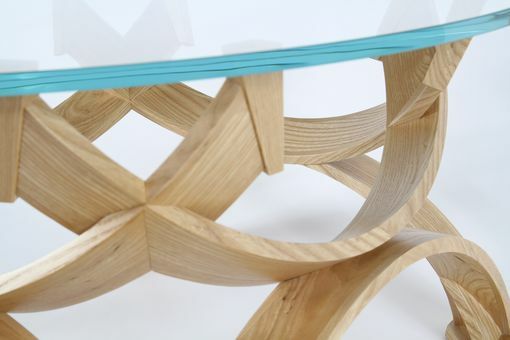 Due to its interlocking nature the table is both light weight and incredibly strong. 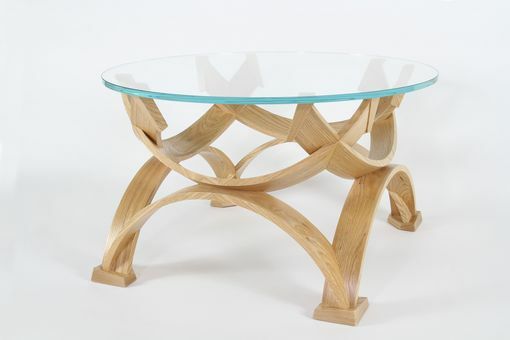 The clean lines and angular nature of the feet and "horns", which support the glass, provide tasteful counterpoint to the curves of the arched structure. 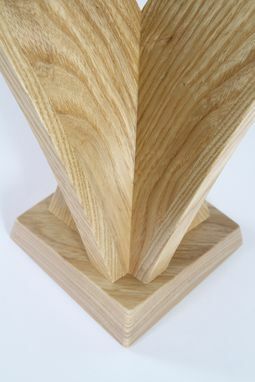 Intersection is customizable in both, dimensions and wood selection. 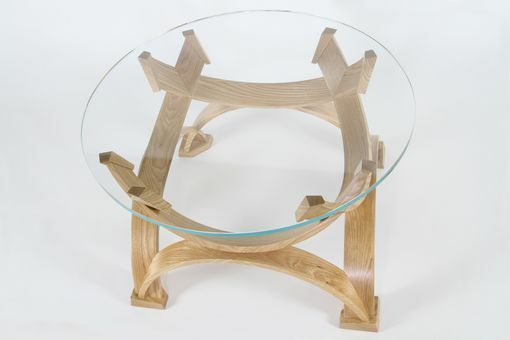 Price may vary with altered dimensions, different species of wood, or different glass thickness or diameter. The minimum glass diameter is 30". - Wood - (Ash) - Contact me for customization with different woods.